Stopping a spill from spreading is vital to prevent pollution or contamination. 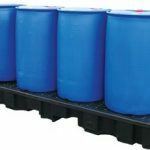 We have a full range of containment systems to stop liquids from entering drainage systems and surrounding areas. 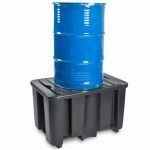 Our range includes plastic and steel spill containment solutions and can contain the spread of leaks from damaged drums, IBC’s and other liquid storage containers. The Control of Pollution (Oil Storage) Regulations (Northern Ireland) 2010 applies minimum design standards for new and existing above ground oil and chemical storage facilities. 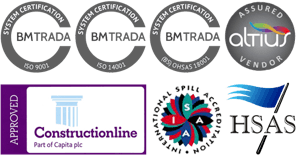 All our products will meet the requirements of legislation in the UK & ROI, if you are in doubt of what you require, we can conduct a free site survey and advise you on what would be best for your storage system. We can supply Darcy Spill Care products throughout the Republic of Ireland and Northern Ireland, check out their website for the full range. 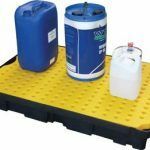 A sump flooring system is a secondary containment system designed to collect drips, spills or leaks from oil and chemical drums. Sump flooring effectively prevents the spread of pollutants into the watercourse and accidental discharge into drainage systems. By preventing the spread of oil or chemicals across the floor damage to the floor is greatly reduced, even eliminated, and reduces spill clean up time. 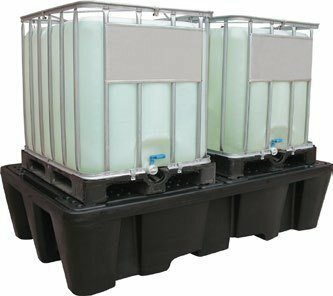 To meet legislative requirements sump flooring must contain 110% of the contents of a single container drum. 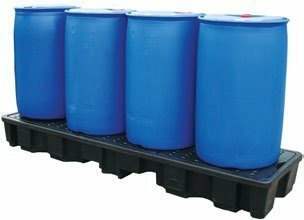 A sump pallet secondary containment system is designed to collect drips, spills or leaks from oil and chemical IBC’s and drums. Effective containment prevents spread of pollutants into the watercourse or accidental discharge into drainage systems. By preventing the spread of oil or chemicals across the floor damage to the floor is minimised or even eliminated, reducing spill clean up time. 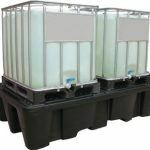 These sump pallets are tough, chemical resistant and lightweight and have a removable plastic mesh floor for easy cleaning. 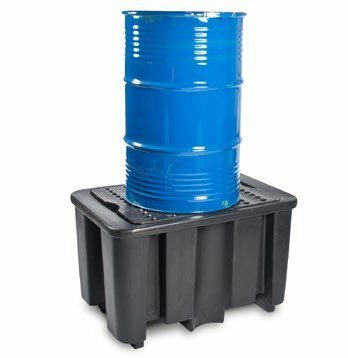 The large sump capacity catches leaks, drips and spills preventing spread. Complies with current UK and EU environmental regulations. Forklift entry points for portability when empty. 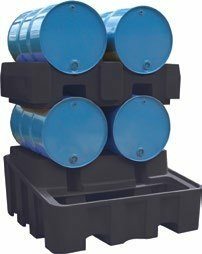 Available in a range of sizes, these drip trays provide a safe bunded environment for your oil, chemical and other liquid drums to collect any dripped or spilt liquid. Drip trays can also be placed under machinery including generators and manufacturing equipment to collect any drips and preventing the spread across flooring. 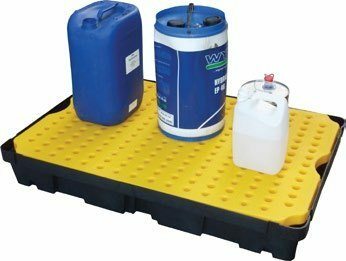 The use of these drip trays help maintain a safe working environment, prevent the spread of spills and possible damage to flooring. By containing liquids within the drip tray clean up time is significantly reduced. 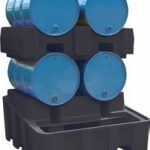 A drum trolley provides a secondary containment system for 205 litre drums when being transported around the site. 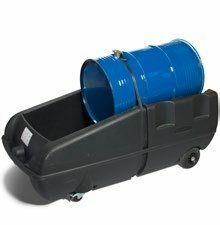 This mobile dispensing station allows a single operative to easily move full drums of oils, chemicals or other liquids. The design allows for safe decanting of liquids from the drum and any spills to be contained with the sump of the drum trolley.